While there was the usual out-there Grammy fashion, we automatically huddled over the winning glam and stylish looks, whether they featured sparkles, feathers or even statement hats. A lot went down during the 61st Annual Grammy Awards, which took place Sunday at Los Angeles’s Staple Center. 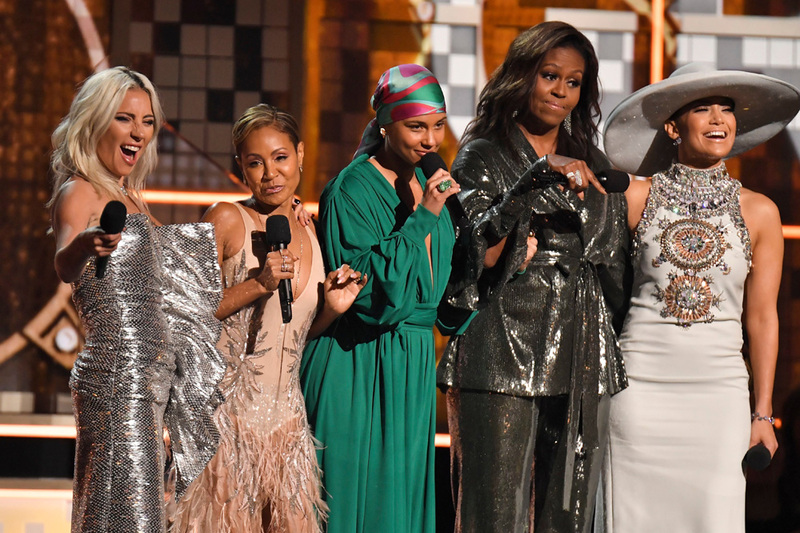 Women took centre stage, Cardi B made history by becoming the first solo woman to win the Best Rap Album award and Michelle Obama stunned the audience with her surprise appearance and unifying message. Plus, fans got to see their first peep of Will Smith as Disney’s blue Genie, and, of course there were lots of exciting performances - we particularly loved watching Miley Cyrus perform a stunning rendition of “Jolene” with godmother Dolly Parton during an all-star tribute to the country music legend. 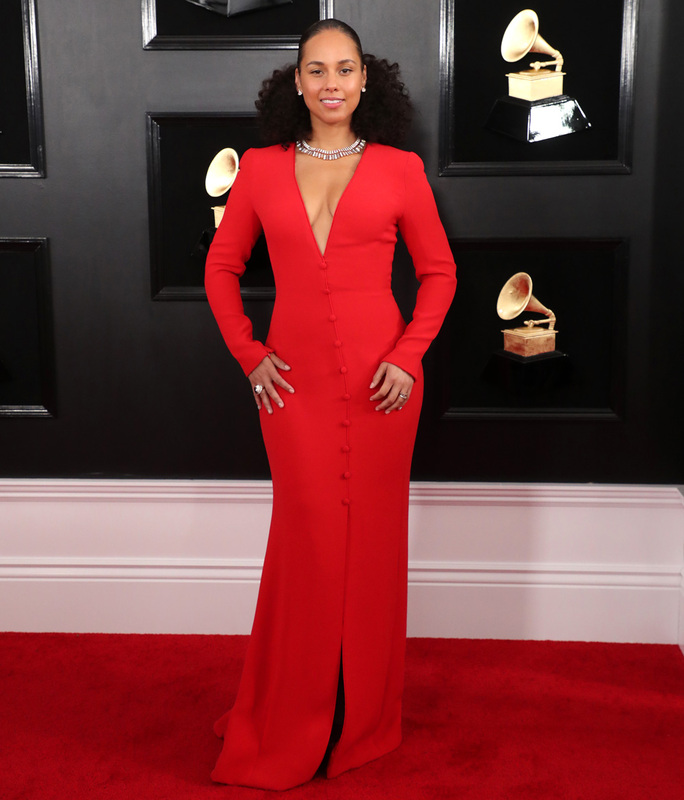 As if all that wasn’t enough for the event that was hosted by Alicia Keys, the stars of the music industry made sure the red carpet was full of fashion surprises. 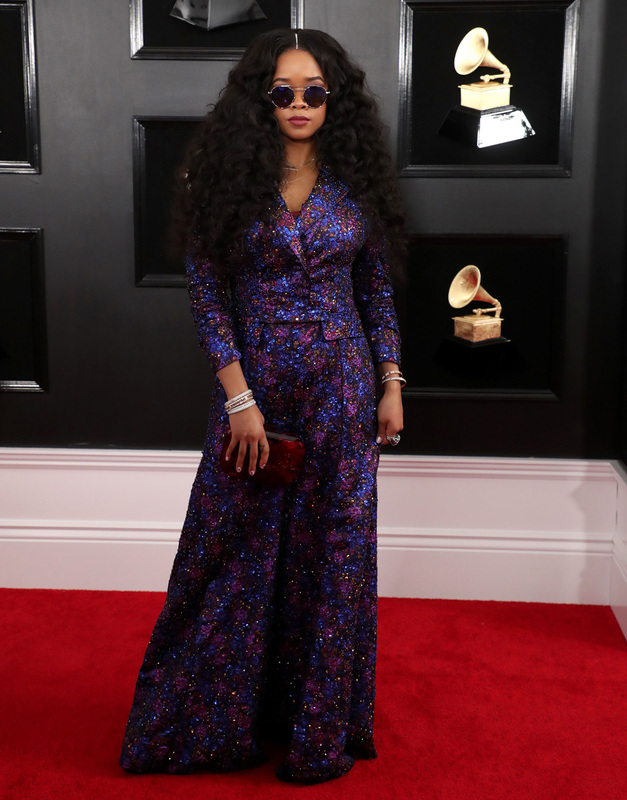 As is customary for music’s biggest night, many stars were out to turn heads with bold and outlandish statement looks. Cardi B's oyster-like extravaganza, Janelle Monáe’s dramatic and angular dress, Kylie Jenner’s baby pink trouser outfit with built-in gloves and Katy Perry’s cake topper type dress were some that come straight to mind. Another fashion risk-taker came from Joy Villa, who wore a dress depicting Trump’s proposed Border Wall with Mexico that even included barbed wire! This year also saw a lot of A-list refinement, with stars shining in gorgeous dresses, whether they were princess-like, endearing or swimming in sequins. Lady Gaga, who performed a rock 'n' roll style “Shallow” and won three awards, looked amazing in a silver disco ball-like dress with a high slit and dramatic ruffles at the side. Dua Lipa, who took home the Best New Artist and Best Dance Recording awards, was another silver siren in her strapless sparkling gown with a long train. Plus, Best Pop Solo Performance winner Camila Cabello, who performed the victorious song “Havana,” dazzled in a hot pink sparkly column gown with a revealing open back. Wearing a pale mint crêpe cady column gown featuring a high neckline embellished in a jewelled Aztec design and a wide brimmed hat, Jennifer Lopez, one of the night’s performers, was another best-dressed attendee. Country singers Kelsea Ballerini and Kacey Musgraves also made waves with their show-stopping dresses. Winner of four awards, including Best Country Album, Musgraves looked like a vision in an off-the-shoulder blush coloured ethereal tulle gown with red belt. Nominee and presenter Ballerini looked picture-perfect in her champagne-colored dress. Then there was Anna Kendrick looking breathtakingly cute in a pale pink tulle mini dress, featuring panels of silver crystal embroidery and bubble gum pink devoré ostrich feathers. Many hit the red carpet in elegant tailoring too. 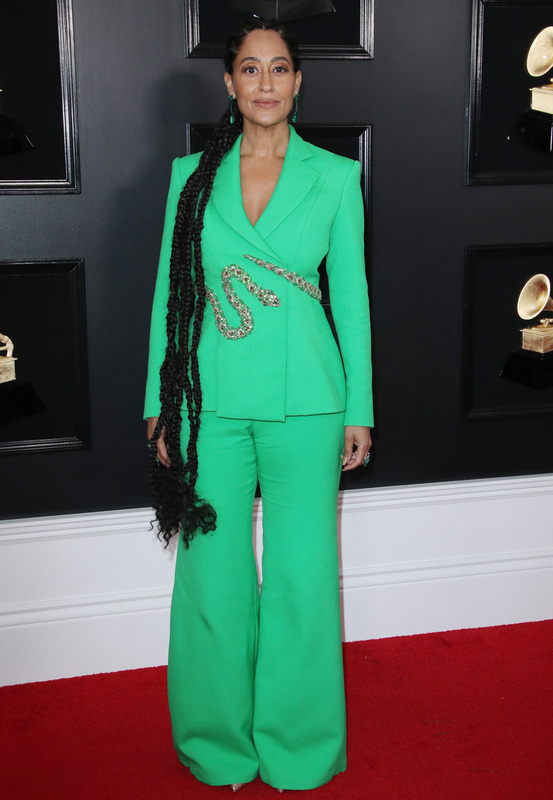 Tracee Ellis Ross rocked a vivid green wool crêpe suit featuring a slinky embroidered green and gold crystal serpent belt. The newly married Miley Cyrus went for a classic black suit with lots of edge. She wore the jacket with a plunging neckline, while the boot-cut cropped trousers allowed her to flaunted her customised shoes.